Source — A man who lost his legs in the Boston Marathon bombings, then helped authorities identify the suspects, is engaged and an expectant father. 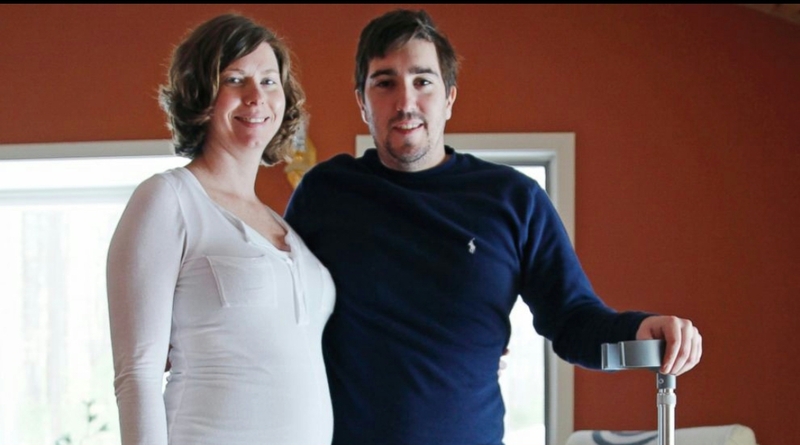 Jeff Bauman, 28, and his fiancee, Erin Hurley, 27, told The Associated Press in a recent interview that the baby is due July 14. They don’t know if it’s a boy or a girl, and they want it to be a surprise. The two have been preparing for the baby’s arrival by painting a nursery in their home in Carlisle. Hurley said Sunday that she and the baby are healthy and her pregnancy is going well. They became engaged in February and together picked out a white-gold engagement ring. She said they plan to marry next year. “We’ve got a lot going on. So we don’t need to do everything all at once,” she said. An AP photo of a badly injured Bauman being rushed away in a wheelchair by three rescuers became one of the most memorable images of the April 15, bombings, which killed three people. He was standing near the finish line waiting to cheer on Hurley as she completed the marathon when the two bombs exploded. Bauman became a hero after he provided a description of one of the suspected bombers from his hospital bed. Bauman’s memoir on his experiences, called “Stronger,” is out April 8, one week before the anniversary of the bombings. Is somebody chopping onions in my cubicle this afternoon, because it just got a little watery in here. What a stud. This is such a feel good story, and really one that can’t be explained in words. You never hear about Jeff Bauman going on a crusade against the marathon bombers or lashing out to local newspapers or websites. He just keeps on livin’, man. At 28 and in the prime of his life, Jeff almost got everything senselessly taken away from him, but you’ll never hear him complain about it. He’s too busy being a good boyfriend and eventually one hell of a father. Good for you, Jeff Bauman. You’re a hero in my eyes. If George Michael can’t get Christmas week started off on the right foot, then no one can. Sweet, sweet Georgy Michael. 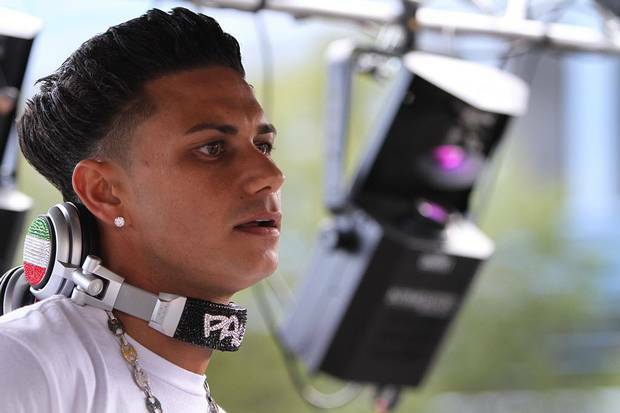 DJ Pauly D, the onetime Johnston DJ who rose to fame on MTV’s “Jersey Shore” and “The Pauly D Project,” is a father, celebrity-gossip website TMZ reports. The 33-year-old Pauly D, aka Paul DelVecchio, retweeted TMZ’s tweet of its story, and is accepting and retweeting congratulations sent on Twitter. Congrats Pauly! Congrats even though the whole world knows this is a Vegas baby. What’s the old adage? “What happens in vegas can grow inside your stomach and be born in Jersey”?….I think that’s the saying. Here is how I picture Ron Paul finding out.